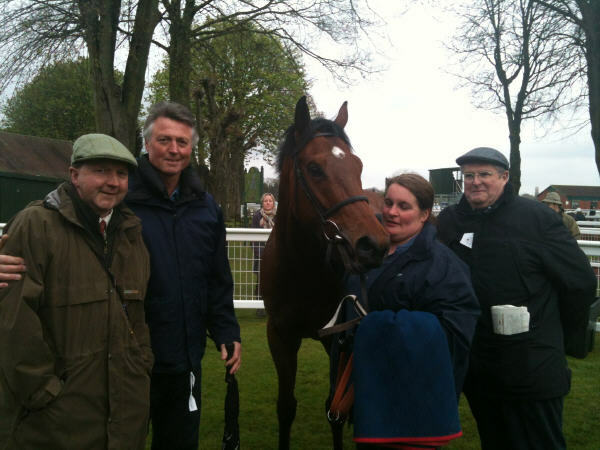 Mitchell’s Way, by Needwood Blade out of Ghana, is a bit of a racing enigma. Like many good horses, his breeding doesn’t jump out at you that there is an out and out stayer or even a NH horse on the page. When Alan sent over the horse’s breeding, suggesting we come to see him, the sales page was left in the ‘in tray’ for a few days, it just wasn’t that exciting. Howe haver when we went to see him, a different story emerged. 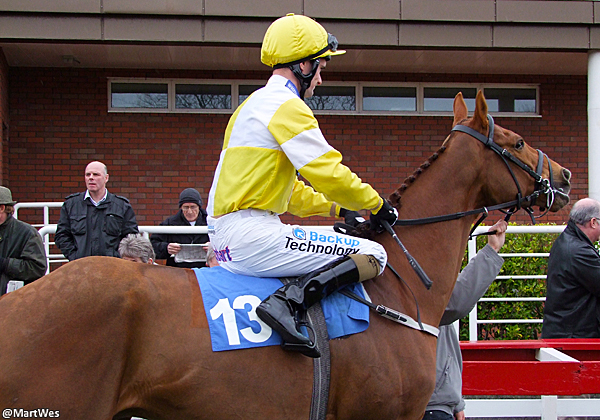 We saw a horse that would do well to win a bumper, and would improve with time. Physically imposing, strikingly attractive, easy going, everything you want in a chaser. He wasn’t ever going to be a smash and grab horse, like Fast Shot. Instant reward wasn’t on the page. 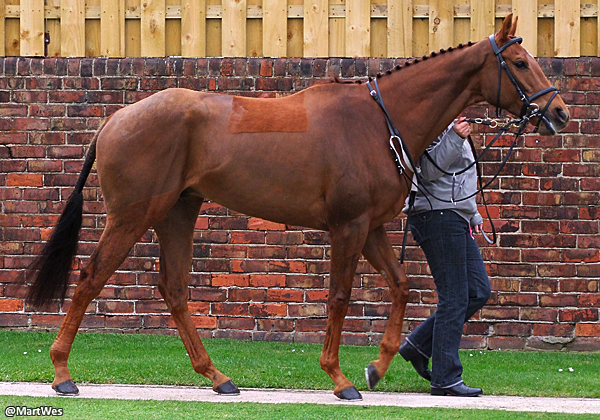 He’ll take a bit of time, but make no mistake, this is a racehorse. Whatever he does in his first season, he needs to enjoy doing it. 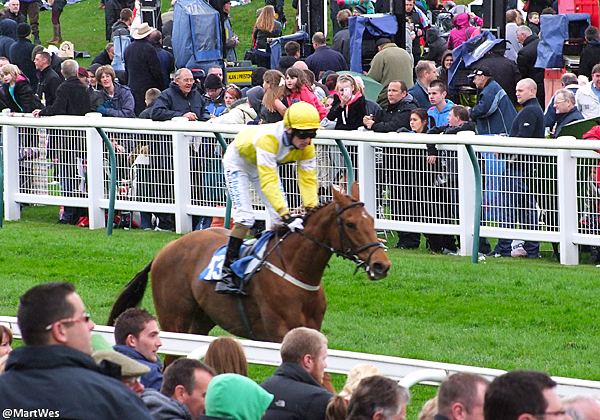 He’s one for the long road, novice chasing, handicap chasing, a NH saturday horse. Make no mistake, this fellow will be alright. 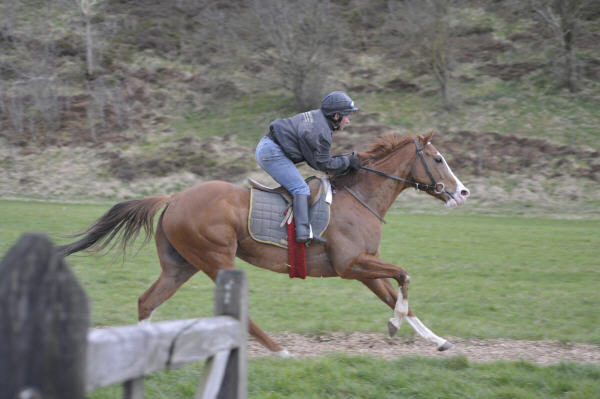 He won’t we quick enough to beat quick nippy hurdlers and there’s little point in running him on the flat, but if jumping is your game, take a pull, settle in and give this horse a bit of time, and one day you’ll hopefully be rewarded. 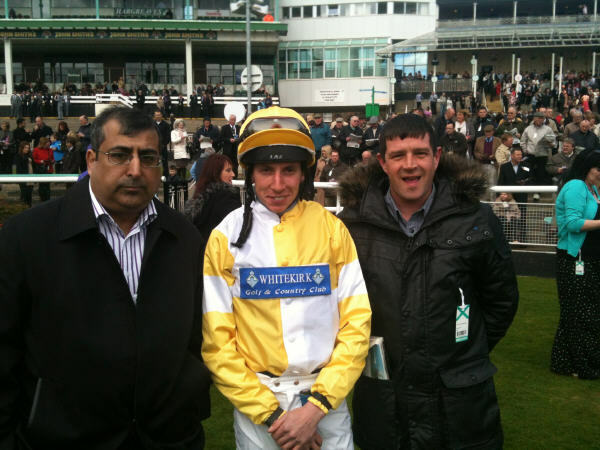 We arrived at a rainy Wolverhampton on the back of our first winner of 2012 (well done Fast Shot and his owners), with all the expectations of a really bold show from “Archie” and if lady luck was really smiling on us maybe a double on the day. Sadly our “Archie” hadn’t read the script, he thought today was a play day and not a race day, he looked really well in the parade ring, but didn’t transfer that on to the track and sadly finished down the field, Luke (Morris) reported that he “spat his dummy out” after he took a slight bump on the bend and basically downed tools. We know he is better than this, and maybe just needed a run after such a long layoff. Howe haver Archie’s owners Gavin, Dawn and Mike (Middleham stables open day comp winners) certainly enjoyed themselves on their first visit to a racecourse as owners. Big thanks to all at John Weymes for having him looking so well. 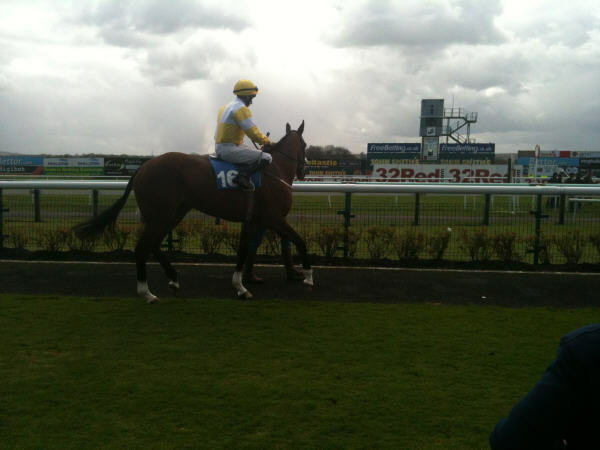 Mitchells way ran in the 2m 1f at Carlisle on Saturday. 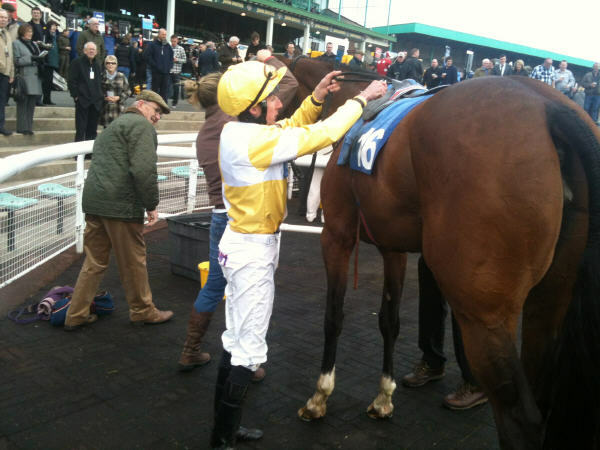 Fearghal Davis took the ride aboard the Alan Swinbank trained 5 year old. This was a less than ideal trip for our fella and Fearghal rode Mitchells Way prominently throughout. After being outpaced with 3 to go, he stayed on gamely to draw closer to the leader with every stride, but unfortunately the line came too soon for him and he was beaten a half a length into second. That’s the 3rd time Mitchells Way has finished runner up. He is as game as they come and will win his fair share of races. Fearghal thinks a lot of him and always has good things to say after every race. We had a great day at Middleham open day yesterday. We met loads of lovely people and really enjoyed ourselves in the beautiful surroundings of Middleham. As is tradition on our visits to John Weymes yard , we started the day with lovely a bacon butty and a cup of tea. When fed and watered, we made our way to see Arch Walker, he really looked a picture and looks fit and well ahead of his season. John and Kirsty have done a terrific job in getting him back to full fitness after a minor injury. 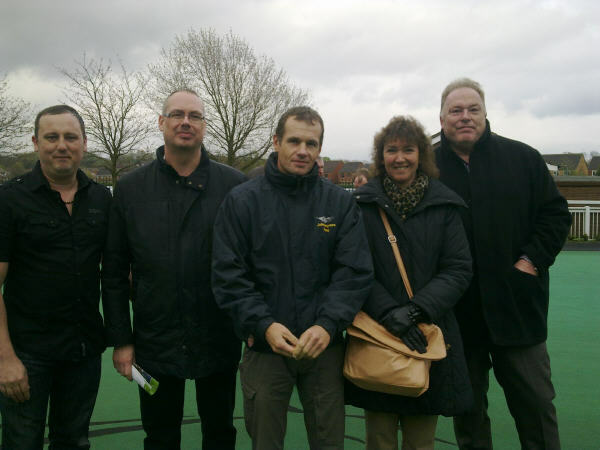 We had a great competition whereby the winner would win a free share in Arch Walker for the season. John Weymes made the draw and the lucky winner was Dawn Eltringham. 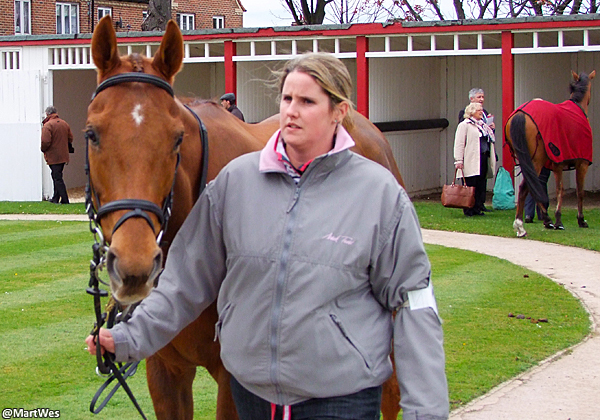 We are delighted to welcome Dawn to the team and we wish her the best of luck for the season with Arch Walker. We would like to thank all of the people who came to see us yesterday and hope you had as good a day as we did. We would like to a big thank you to everyone involved in making it a successful day. A lot of organising goes into making the day a great success and we tip our hats to everyone involved and look forward to next year. 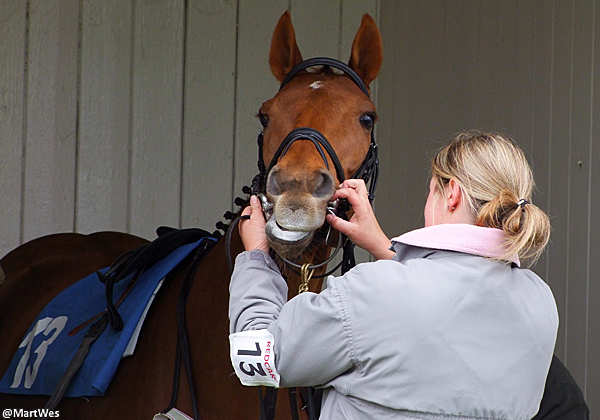 We are travelling to Middleham Open Day tomorrow for what is sure to be a good day out. 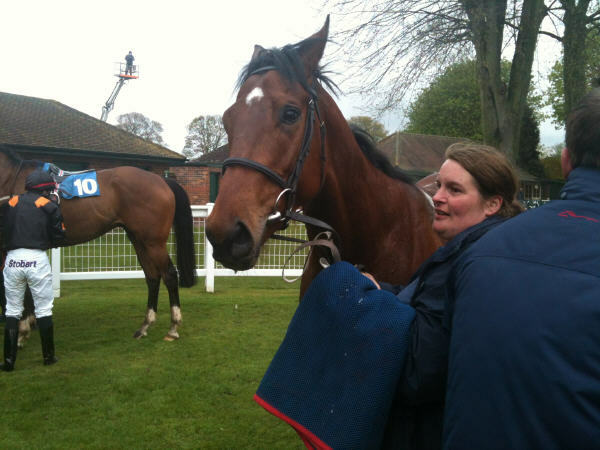 We will be at John Weymes yard seeing Arch Walker (pictured below). If you are around , come up and see us , we will be having an exciting draw for a great prize so make sure you enter . Johns Address – Ashgill Stables, Coverham – Middleham, Leyburn, North Yorkshire, DL8 4TJ. Guaranteed to be a Good Friday. 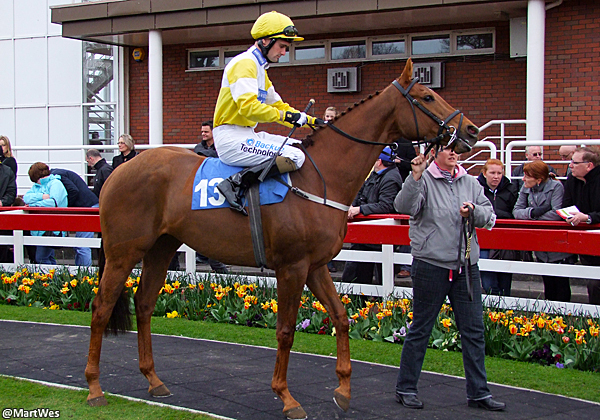 Fast Shot ran in the 6f Class 4 handicap yesterday at Redcar. Adam Carter claimed 5lb aboard the 4Y/0. Breaking Well, Fast Shot showed good early speed to race prominently in the early stages but faded in the last couple of furlongs to finish down the field. All of Tim’s horses seem to be needing a run but we are happy to get his season going and he will come on a lot for the run. Fast Shot would have preferred a bit of juice in the ground but it was nice to see that he travelled well in the good to firm ground. Adam didn’t give him too hard a race and he looked in good nick afterwards. 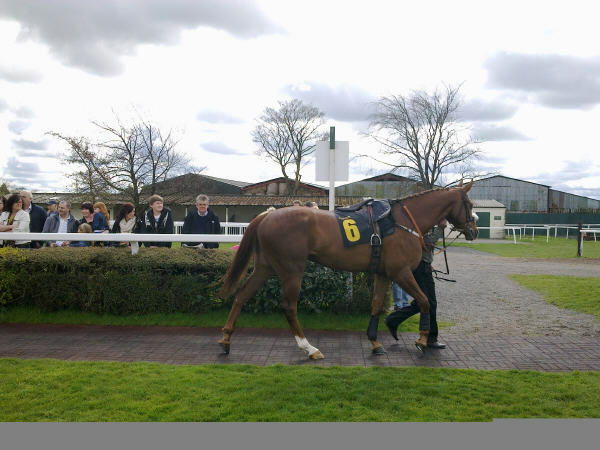 We will be looking races in the near future for him and there will be a wide range of races of 6 and 7f that we can have a crack at. Its good to have the flat back!